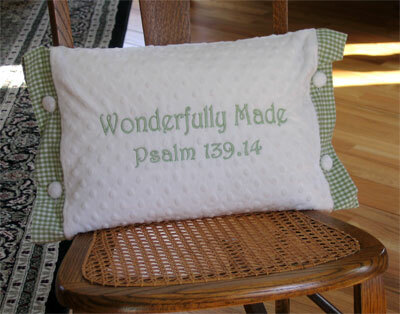 This super soft and cuddly white minky dot 12" x 16" pillowcase is beautifully embroidered with "Wonderfully Made", Psalm 139.14. Available in green check fabric band on both ends. Minky smooth fabric covered buttons finish the look completely. 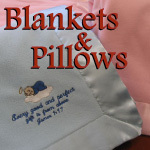 (Includes pillow insert). This pillowcover has been carefully hand crafted in a smoke-free home, using only the finest materials available, with close attention being paid to every detail.